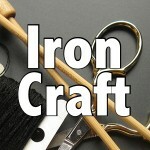 Oh my, it’s the last Iron Craft challenge of 2013 and it’s during one of the busiest times of year. Luckily, the challenge was to make something that could be done in an hour or less. You know what the time restraint really stumped me. I really wanted to knit something and had time to while driving back and forth to Michigan, but that would have taken much longer than an hour. Finally, I hit on an idea while thinking of winter/Valentine’s decorations I wanted to have up after the Christmas ones came down. 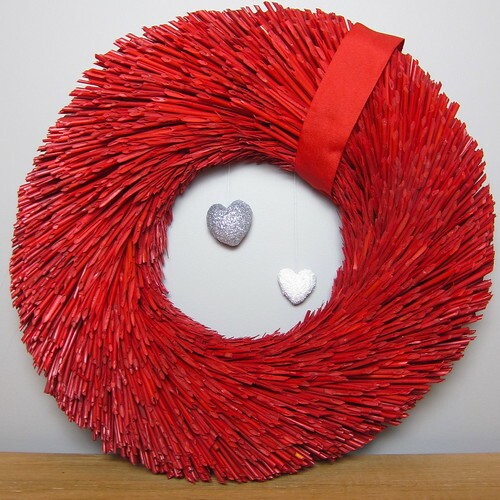 You may recognize the wreath from my Christmas mantle, since it is bright red (like so many of my Christmas decorations) it was easy to turn it into a simple Valentine’s Day wreath. I didn’t want anything too country looking or too over the top hearts and flowers. I also wanted the hearts to have some dimension to them, not just flat paper or tin. I think I came up with a something that fit the bill. 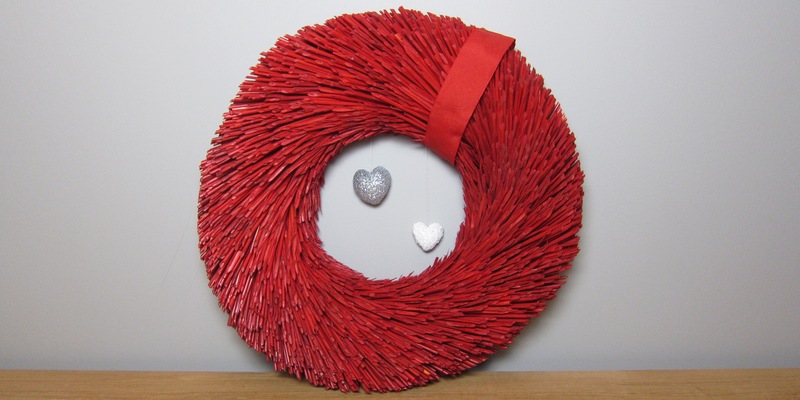 A note about my wreath: I got this straw wreath years ago at Ikea and I’m pretty sure they don’t have them anymore, but you could use any wreath to make this. I think it would be pretty with a natural straw wreath and red hearts or a twig wreath would be pretty too. 1. 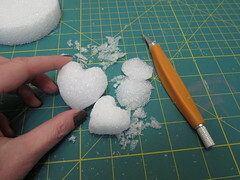 Use the exacto knife to shape your styrofoam into a heart. 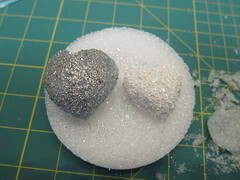 I did the whole ball at once and then cut it in half to make two hearts, but you could cut it in half first. You want the front of the heart to be rounded and the back will be flat. 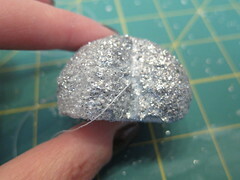 I did the rough shaping with the knife and then just used my fingers to refine the shaping and smooth things a bit. 2. Cover the front of the hearts with mod podge or glue. Cover with glitter. Let dry. 3. 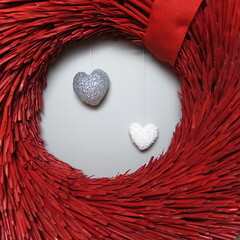 Cut two lengths of thread about twice the length you want the hearts to hang inside the wreath. Tie a knot at the bottom of each one. The knot needs to be quite large to not just pull all the way through the styrofoam. Using the needle, pull the threads through the hearts start at the bottom point. You may have to try a few times to get it to come out in the center. I put a dab of glue where the thread come through to help it keep from pulling through. 4. 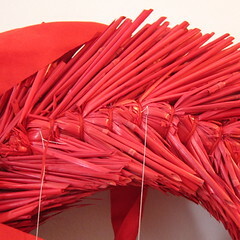 Tie the threads to the back of the wreath at your desired lengths. I’m thinking I need one more heart though I haven’t decided if it should be glitter, rhinestone of metal yet. What do you think? 5 years ago by Kat in Challenges , Craft Projects , Holiday , Iron Craft , Projects , Valentine's Day | You can follow any responses to this entry through the RSS feed. You can leave a response, or trackback from your own site. Thanks for the input…I have to search through my stash & see what will work.